. . . Acknowledge and accept where you are right now without judgment?
. . . Neutralize your related distress and replace it with positive choices?
. . . Transform your wounded stories with your own creative wisdom? I would love to share with you proven energy modalities to help you move through your emotional distress, access your inner wisdom, and make the conscious choices you want in your life. Hello, I’m Sherry. Thank you for visiting my website. If you are suffering the effects of childhood abuse or neglect, the loss of a significant loved one, or other trauma, you are not alone. My father had an unpredictable temper that verged on rage. He punished my sisters and me unfairly and unreasonably. I thought he was crazy, and I was so afraid of becoming like him, I stifled my own anger for most of my life. I also am a mother who lost her only child in a tragic accident when he was only two years old. When my son died, I not only suppressed my grief, but with it, overwhelming guilt and shame. I buried all of it deep inside me for 34 years, rarely acknowledging it. Then my husband died, too, and my grief at losing him brought my earlier, buried grief to the surface. This time, I knew I had to seek help. First, I found it in a bereavement support group, where I learned about grief and that, if we want to heal, we have to allow ourselves to fully face and experience our grief and learn to move through it; not over, under or around it, but through it. Then, I learned about Emotional Freedom Techniques (EFT) and how to literally “tap” into the deep, dark places inside me where guilt, regret and shame lived in the shadows, to bring them into the light of my own awareness, acknowledge them, and release them. This was not a magic bullet; I was not healed overnight. But as I tapped using EFT, I began to discover and release the unresolved, buried emotions I was still carrying from my old, often mistaken, beliefs. These were not just about the shock, emptiness, despair and other feelings associated with the deaths of my loved ones. Tapping also helped me heal the many wounds of my childhood. 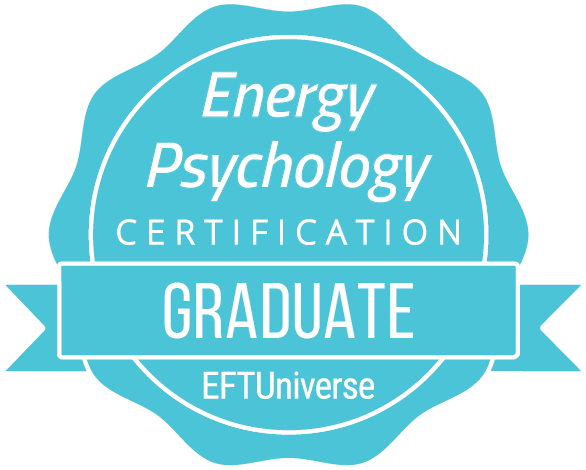 This was such a powerful experience for me, it inspired me to become certified in Clinical EFT. 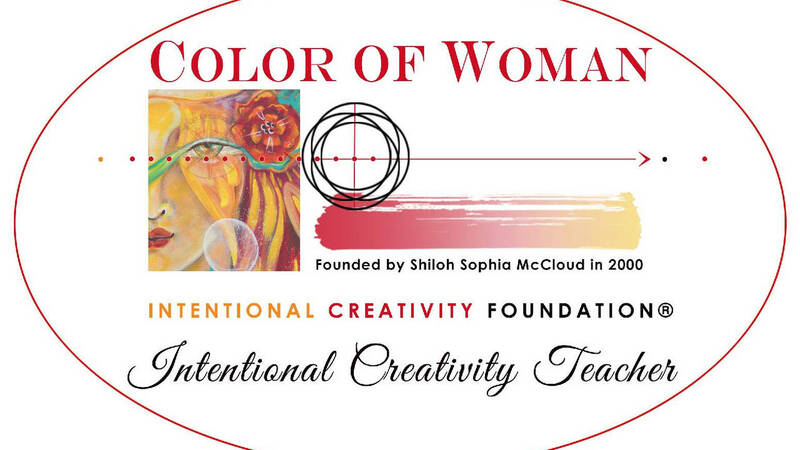 I subsequently discovered the power of Intentional Creativity® (IC) to reconnect with my innate creativity and the magic of Life that I had gotten so disconnected from. I learned that we all can bring the inner images of our wounded stories into our conscious awareness, just as we do with EFT, and transform them into images of healing. When we witness ourselves creating them in physical form, our new stories become more real to us than when they remain only in our minds. 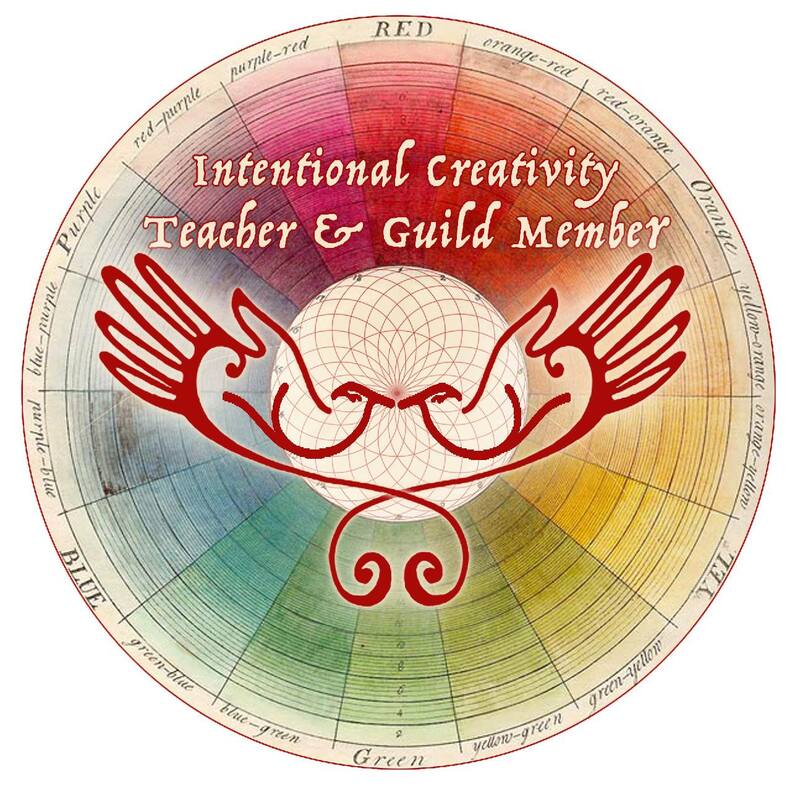 Now certified in both EFT and Intentional Creativity, I’m able to use any or all of these powerful tools to help you, whichever of these resonate most with you. We will work together in a safe, non-judgmental way to help you face what is possibly too hard to face on your own. Together we will use these techniques to successfully neutralize your negative emotions, moving through them into gratitude, love and peace, and ultimately to reconnect with your inner wisdom and your natural, innate creativity. If you want help and support from someone who has experienced the agony of significant loss and past abuse; someone who can offer a gentle, safe, effective way to help you move through it, please contact me. I know from my own experience that, despite feeling this is a bottomless, endless well of heartbreak, we really can heal. I offer a free, no obligation, consultation to give you the opportunity to speak with me; learn more about how EFT Tapping and/or Intentional Creativity can help you transform your life; and determine if working with me is right for you. 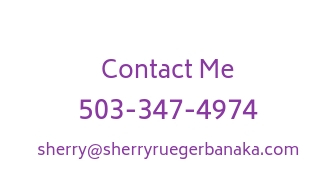 I can be reached by phone at 503-347-4974 or email: sherry@sherryruegerbanaka.com. I sincerely look forward to hearing from you soon. P.S. Death and trauma are a natural part of life that we all must face. You don’t have to do it alone. I will walk this path of healing with you, and we will use whichever combination of EFT, EP and IC resonates with you. Working together, you can acknowledge the impact of your experiences and neutralize your unresolved negative emotions, so you can move through your grief to gratitude, your fears to freedom, and ultimately into your renewed life. It is my privilege to help you in this way, and I look forward to hearing from you soon.